Our range of products include double glaze fix window. 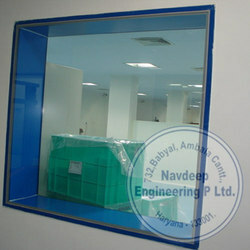 We are the leading Manufacturer, trader and service-provider of Double Glaze Window. Silicone sealant is then applied for sealing off the gaps to avoid air, water & dust to enter. These are manufactured by using premium quality raw materials to deliver optimum durability and reliability to the users. Looking for Double Glaze Fix Window ?